Overview: The Li people are a minority ethnic group of China, primarily located on Hainan Island. They refer to themselves as the Hlai people. 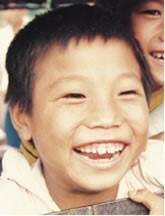 The Li are believed to be descendants of the ancient Yue (commonly known as Cantonese) tribes of China. While the Li people groups speak one or more dialects of their native Hlai language, many also speak Mandarin Chinese.